Open Access (OA) has become an important way to make research findings freely available for anyone to access and view. 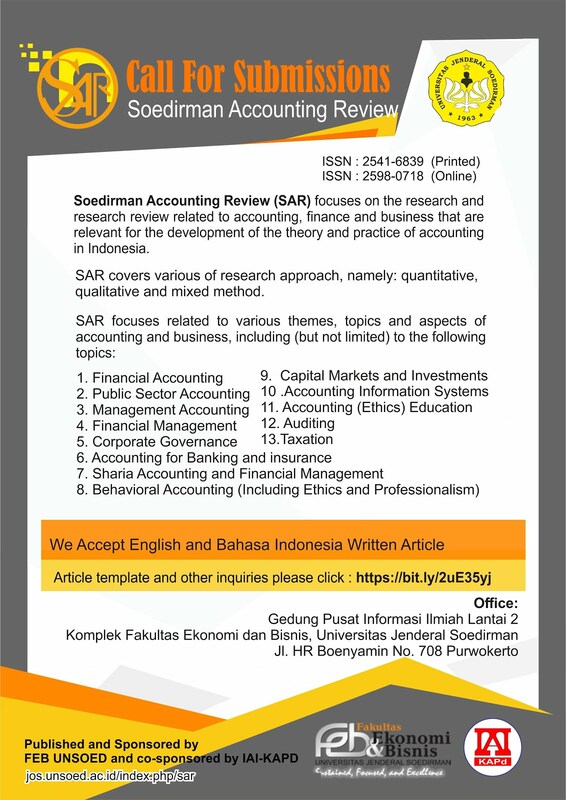 Soedirman Accounting Review: Journal of Accounting and Business Open serves authors and the wider community by publishing high-quality, peer-reviewed OA content. This journal provides immediate open access to its content on the principle that making research freely available to the public, which supports a greater global exchange of knowledge. This license lets others remix, tweak, and build upon our work non-commercially, and although their new works must also acknowledge us and be non-commercial, they don’t have to license their derivative works on the same terms. SAR at http://jos.unsoed.ac.id/index.php/sar licenced by Creative Commons Attribution-ShareAlike 4.0 International License.